Founded as a fishing village sometime around the year 1000, Copenhagen today could be known as the bicycle capital of the world. It's flat landscape and pro-bicycle urban plan makes Copenhagen the perfect place to get out and explore on two wheels. In fact, according to the Cycling Embassy of Denmark (yes, that's a thing), 36% of Danish adults ride a bike to work, 45% of children ride a bike to school, and 9 out of 10 Danes owns a bicycle! Bike lanes in Copenhagen have their own traffic lights! 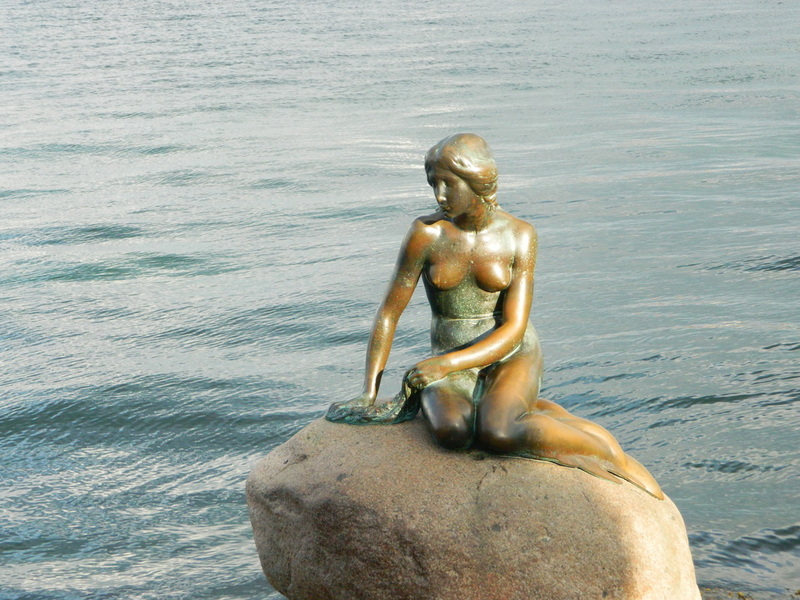 Copenhagen is famous for Tivoli Gardens (a fairytale-esque amusement park built in the 1800's) which is the second-oldest amusement park in the world, and at Copenhagen's harbor, you can visit the statue of the Little Mermaid which was inspired by Hans Christian Andersen's fairy tale with the same name. 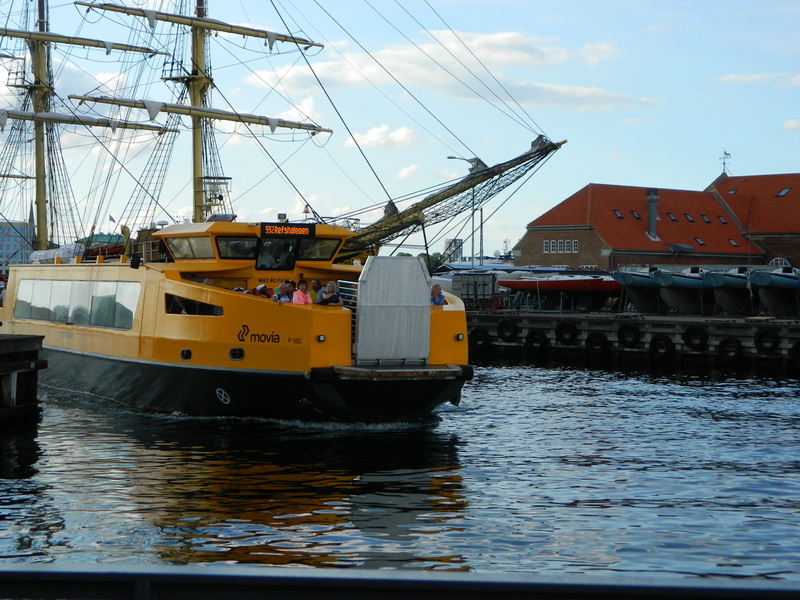 Copenhagen also has a long history of long ships, many of which are visible from the many water taxis that are part of the city's transportation system. Water taxis are a common mode of transport...and even they are bike-friendly! 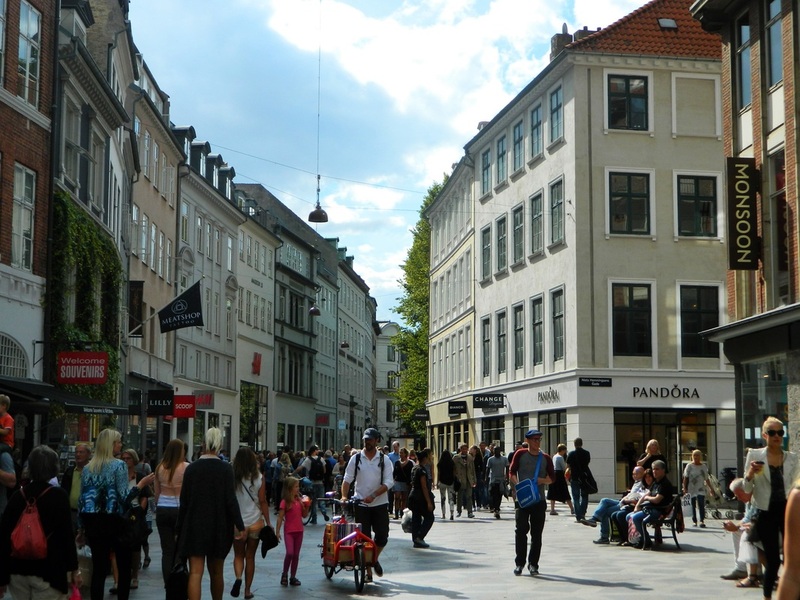 Copenhagen is also known for shopping....Stroget Street is one of Europe's longest pedestrian shopping streets and is a vibrant area filled with street performers, restaurants, cafes and shops. Be prepared, though...Copenhagen is EXPENSIVE! The currency in Denmark is the Danish Krone. One US dollar equals about 6 krone. To put it in perspective, a pair of Levi's costs about 900 krone, or about $150.00. A basic dinner out in a pub for 4 people runs about 600 krone, or $100 US. If you want to have dinner in a nice restaurant, have a glass of wine, and splurge on dessert, be prepared to take out a loan first! So, if you visit Denmark, or any of the Scandinavian countries, bring a lot of money. Being a family of 4, and trying to travel on a budget, we ate a lot of "street food"--from hot dog carts, and ethnic food markets, and spent a lot of time in supermarkets shopping for what we call "grocery store picnics." 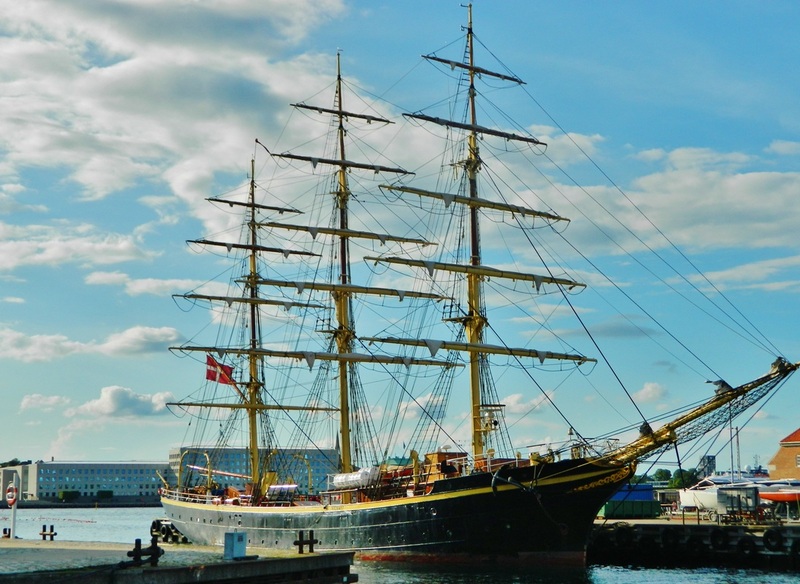 Everything is inflated in Denmark, but shopping at the supermarket and taking your food to a park to eat will save a lot and makes this kind of trip a lot more do-able. No matter the city, we try to eat out just once a day (at a "real" restaurant) to still get the flavor of the local cuisine, but not go broke in the process. 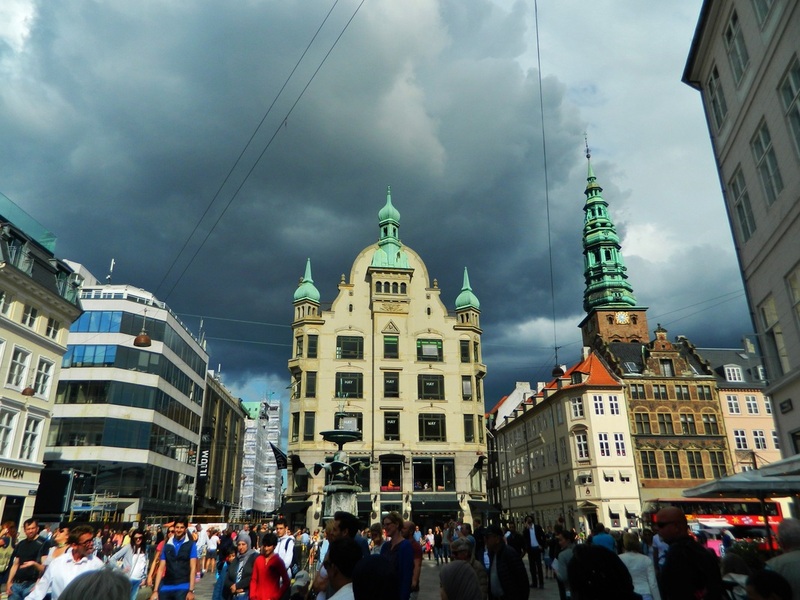 Copenhagen is also known for an area in the Christianshavn neighborhood of the city, called Christiana, or Freetown Christiana. Christiana is an area covering about 34 acres that is a self-proclaimed free society, and does not abide by the laws of the country of Denmark. It's basically a big hippie commune that consists of some homes (there are about 850 permanent residents of Christiana), and a market area where cannabis is freely sold and openly used. Photography in Christiana is strictly prohibited as it would be considered incriminating, and this policy is strictly adhered to. I have read stories of people who were beaten up simply for having a camera around their neck and I wasn't about to take any chances. Christiana has a turbulent history and in years past, many riots have taken place between the police and the residents. It seems now there is an unwritten policy where the police basically leave them alone, but no doubt there will continue to be flare-ups in the future. Basically we just wanted to see what it was like in a functioning commune that rejects societal norms. My Pollyanna brain had conjured up the notion of lovely, organic gardens, meticulously handcrafted items, happy children picking flowers, and generally a peaceful, serene environment--something on the order of flower-children-meets-farmers-market. What we found instead was a filthy, graffitied, overgrown mess teeming with people too high (and drunk for that matter) to even dream of being productive. So, that was a bummer. And a good dose of reality. Apologies to my children who got dragged through that mess, but travel is an education, after all! Here are some photos of Christiana which I snagged from the internet. 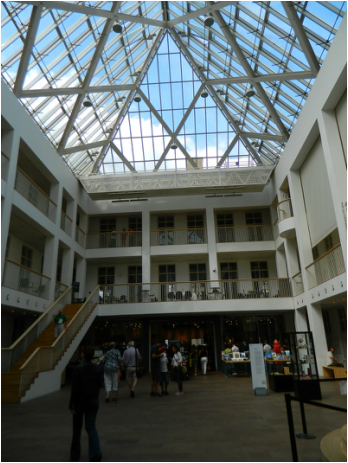 These were obviously taken when no one was around, but when we were there, it was very crowded. Many buildings are painted with murals like this but most have been marred by graffiti of the less-artsy variety. Copenhagen is a lovely city. And, despite being expensive, there are also things to do for free. 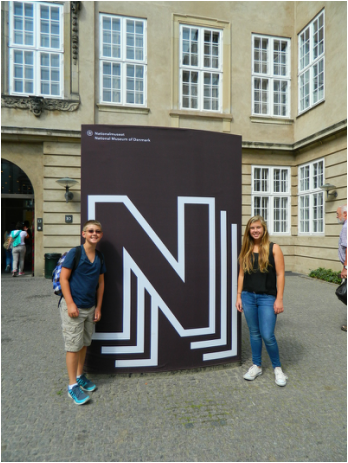 The National Museum of Denmark is completely free and was really fun..perfect for families with little bitty kids...mine were a little too old for the kids exhibits but younger kids were having a blast--puppet theaters, interactive exhibits, and plenty of room to play. 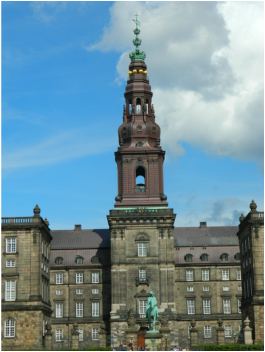 Central Copenhagen also is home to Christiansborg Palace which is the seat of the Danish Parliament, the Prime Minister's Office, and the Supreme Court. 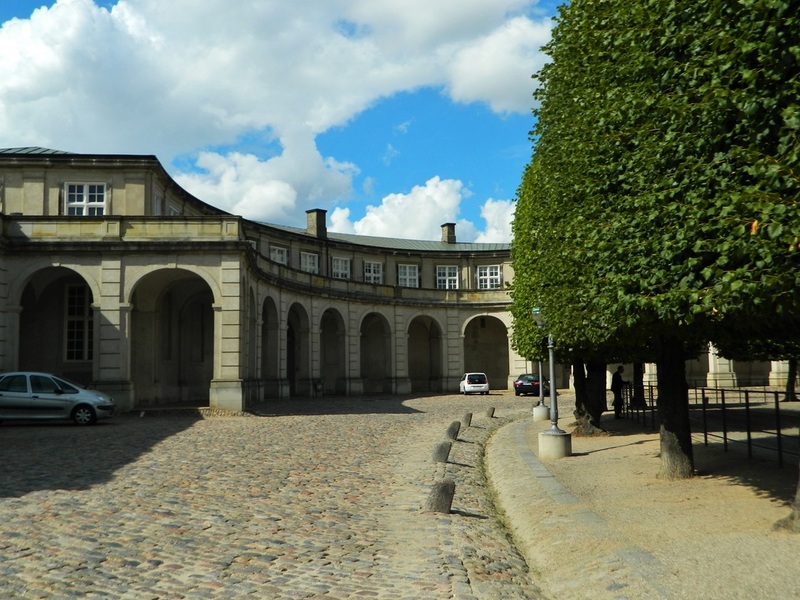 The monarchy also uses parts of this palace including the Chapel, Royal Reception Rooms, and the Royal Stables. 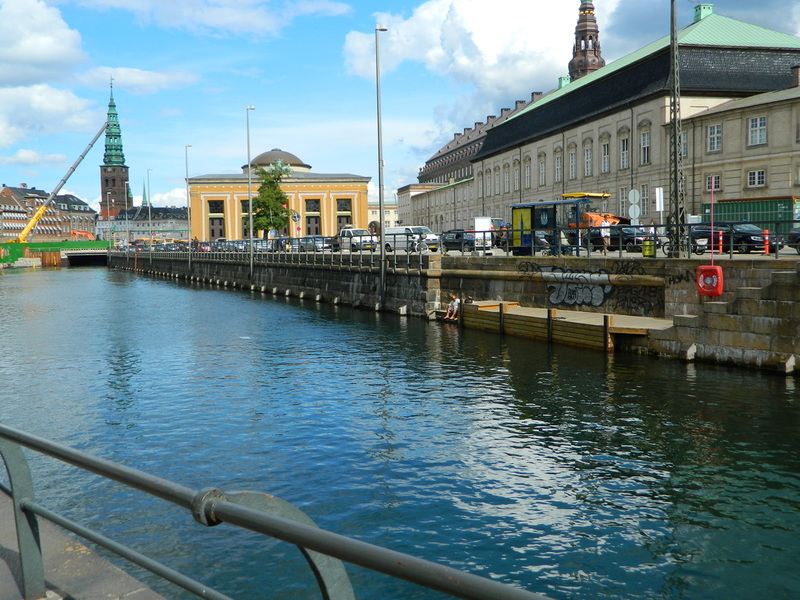 Copenhagen's many waterways, parks, monuments, shops, and sights make it a wonderful place to walk around and take in all the city has to offer. We felt very safe everywhere we went, and enjoyed the vibe of the city. Hope you can, too!